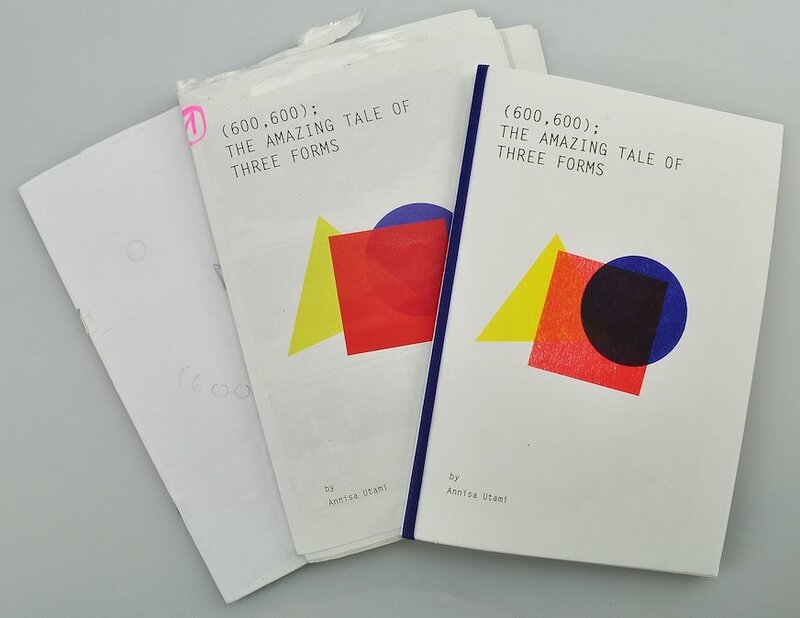 A story about three true heroes, looking for new meaning of creativity, Illustrations drawn entirely with Processing printed with Risograph printing machine. 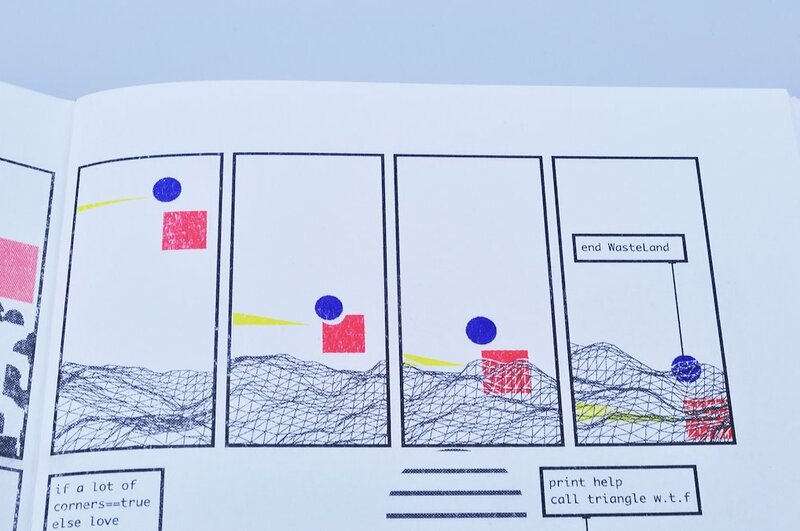 Role Illustration, programming and printing using Risograph machine. 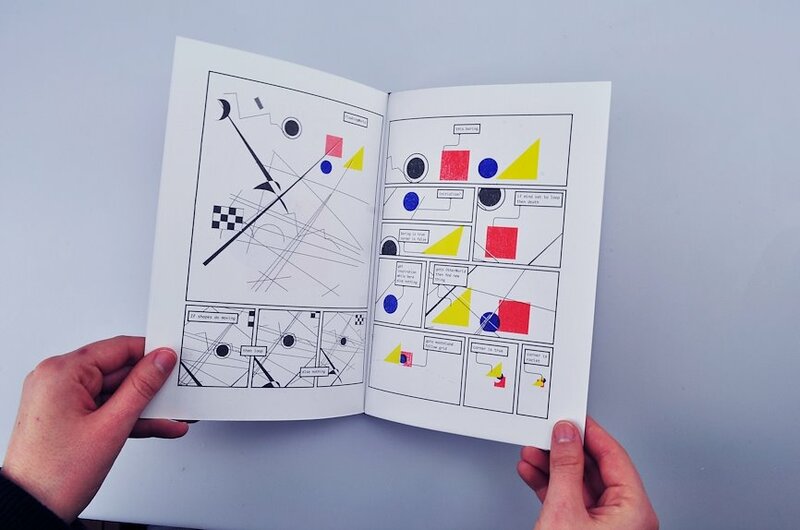 Generative art refers to any art practice where the artist uses a system, such as a set of natural language rules, a computer program, a machine, or other procedural invention, which is set into motion with some degree of autonomy contributing to or resulting in a completed work of art. 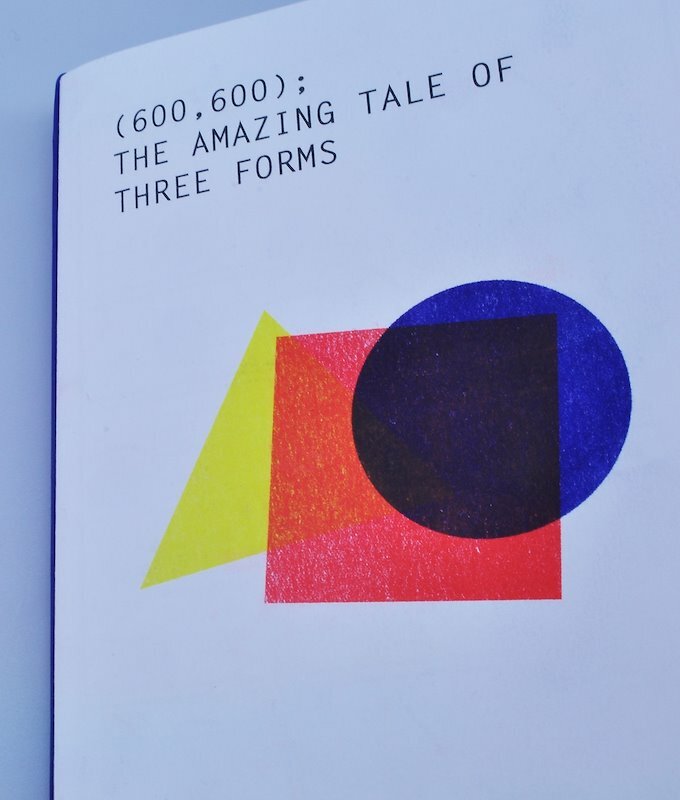 (600,600); The Amazing Tales of Three Forms attempts to tell a story about three forms that were famous during Bauhaus time. They are the Circle, Square and Triangle. 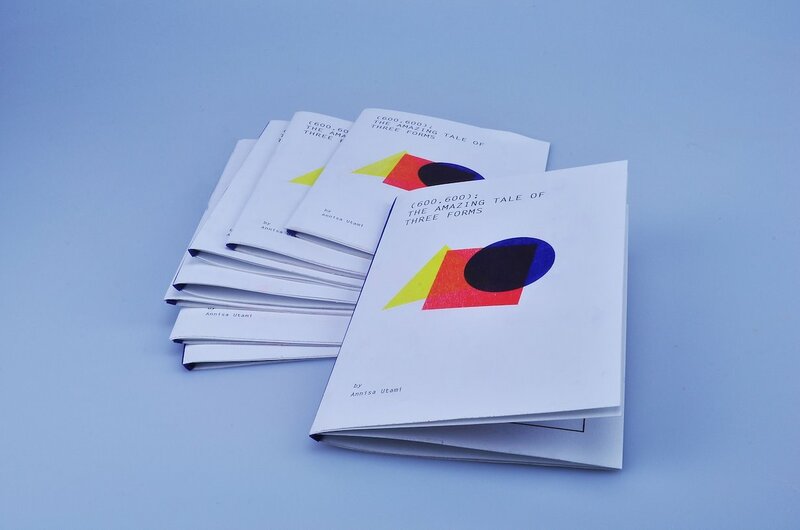 The story begins when they find that the land of Bauhaus is promptly almost dead and they start looking for new creativity. It makes them to travel to other worlds and they find themselves in land of computational art. They meet unexpected obstacles from various aesthetics produced by the computer. 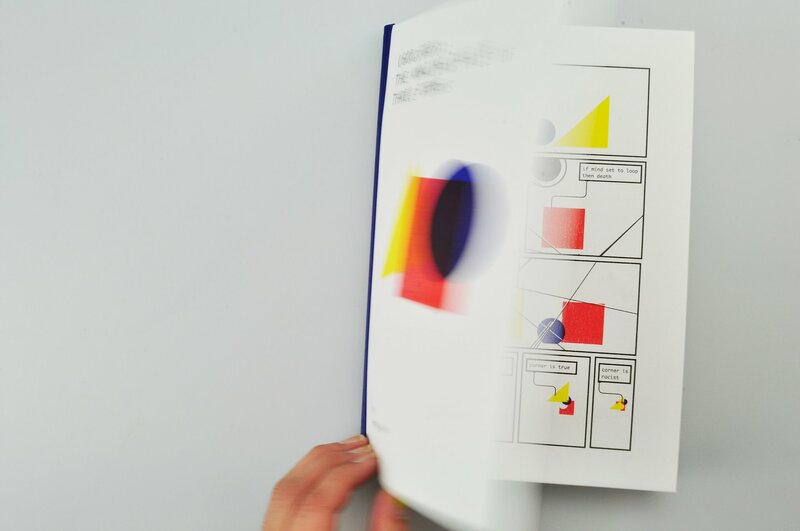 The story and illustrations are drawn and generated entirely using Processing IDE and printed as a book using risograph printing machine. First, I wrote my program with Processing programming language. Processing is a open source program that influenced by Java. Processing generates thousand images every time I ran my program. The composition of each images that created are different. As the results, it will looks like its animated. Then, I picked images that represent and suit for the narrative need and bring it to the book. Using Processing IDE language for bubble speech.